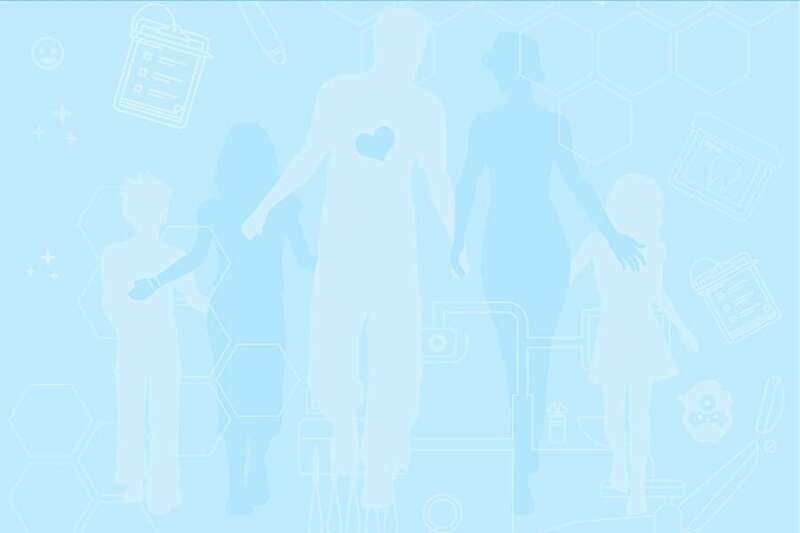 The team at Eltek Dental really cares about their patients, so they wanted a brand that emphasized their friendly, holistic approach. With elegant simplicity, the slogan, logo, and identity items designed by the Convergine team let potential patients know they’ll be in good hands. 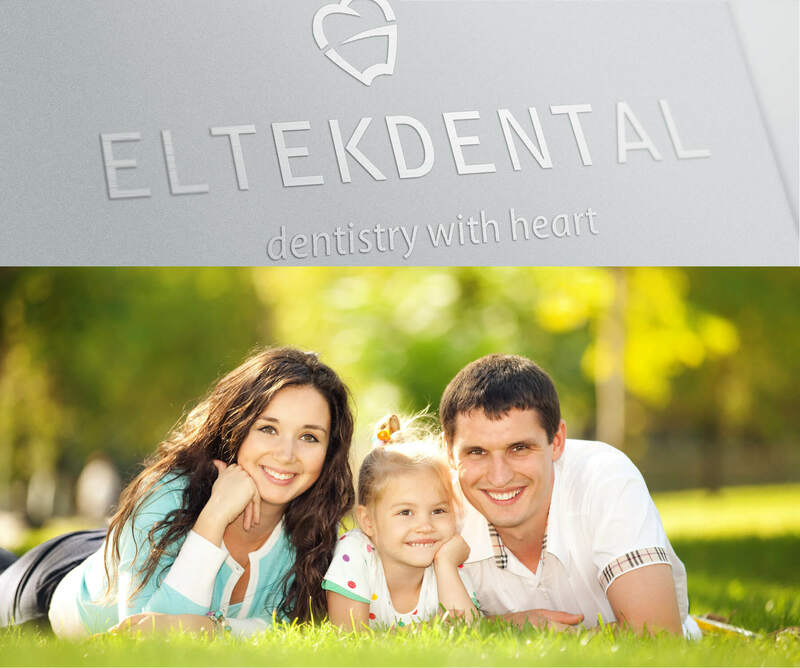 Through our finely honed client consultation process, we were able to distill Eltek’s desired messaging into just three words: “Dentistry with heart.” Building on this slogan, the team created a simple logo (see below) and used a palette of blues to convey calm and trustworthiness.. 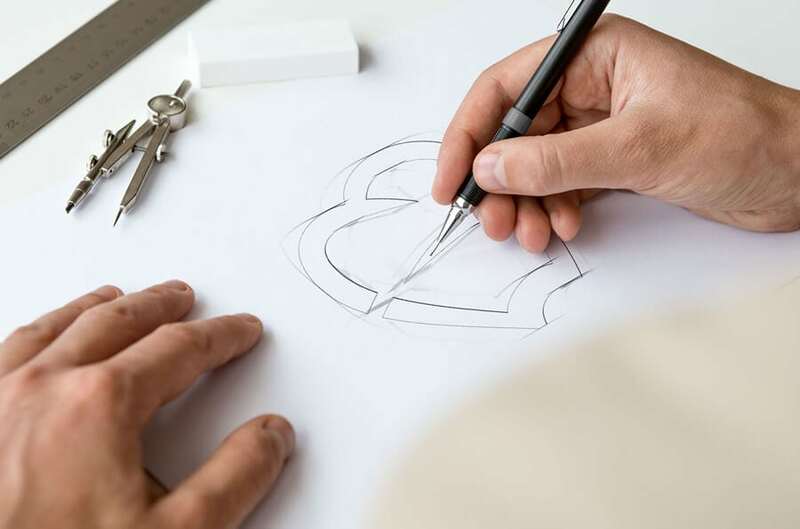 Noticing the resemblance between a heart and the top of a tooth, we skilfully combined the two for a simple, elegant logo that says it all. The rounded lines add softness, and the light blue colour evokes peacefulness, emphasizing Eltek’s message of gentle, careful dentistry that puts patients at ease. On its side, the tooth shape resembles the letters E and D, for Eltek Dental. 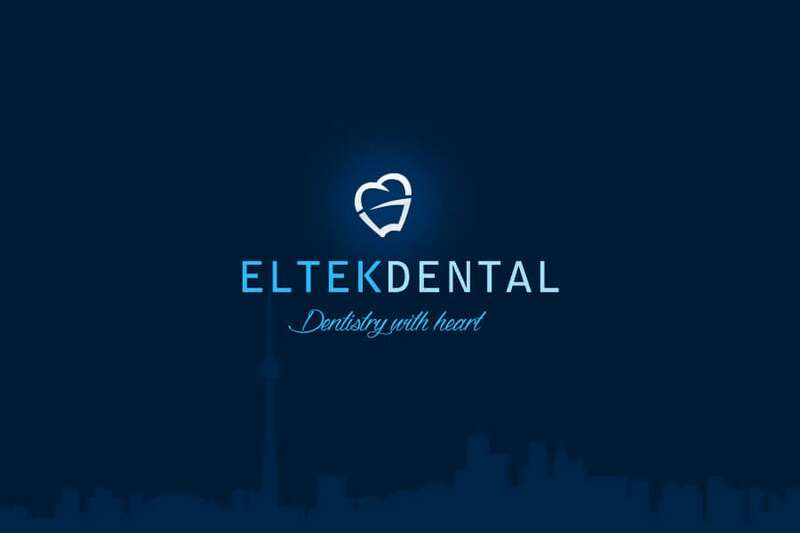 With a memorable slogan, a distinct logo, and a signature colour, our designers had created the individual elements of Eltek Dental’s branding. From there, we combined these elements into stylish promotional pieces like business cards that would allow the Eltek team to quickly share their message with both current and potential patients.